This week, our series on the badass women in the spirits world stays local! 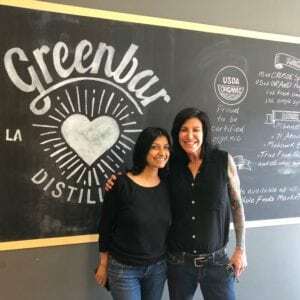 I got to join Litty Mathew in person at Greenbar Distillery, the first distillery to open in LA after prohibition ended. Litty is the co-founder and spiritsmaker at Greenbar Distillery, where she and her husband oversee a growing portfolio of small-batch, organic spirits – the largest in the world! Litty kicks the episode off with a toast to being the change we want to see in the world, but she doesn’t just talk the talk – she walks the walk. 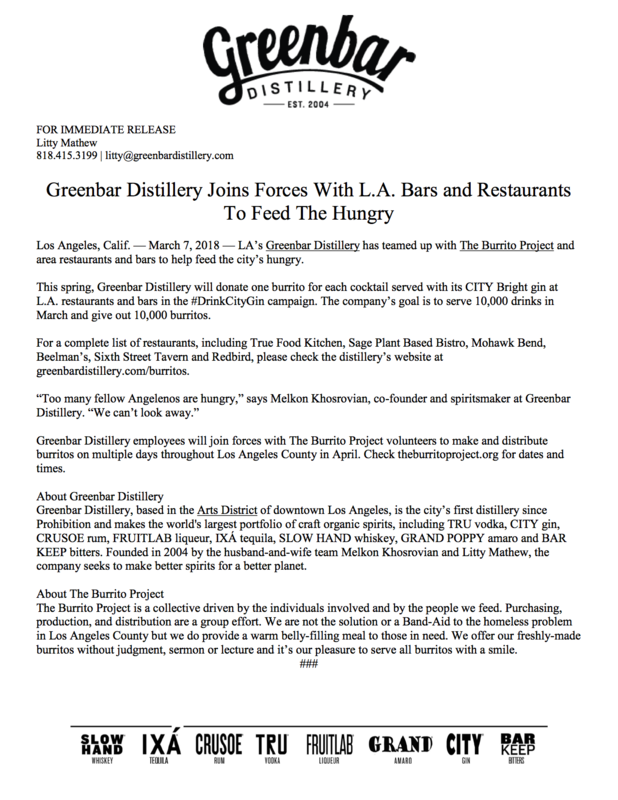 Greenbar Distillery is partnering with The Burrito Project to give away one burrito for each cocktail sold as part of the #DrinkCityGin campaign. 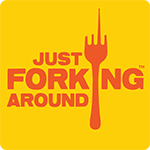 They plan to donate 10,000 burritos during Spring 2018, and YOU can contribute just by drinking gin – forking score! All you have to do is buy a cocktail featuring CITY Bright Gin at one of the participating bars listed on greenbardistillery.com/burritos (which includes awesome spots like True Food Kitchen, Sage Plant Based Bistro, Mohawk Bend, Beelman’s, Sixth Street Tavern and Redbird). Plus, if you follow @greenbardistillery & share a photo of your drink on IG using the hashtag #drinkcitygin, you’ll be entered into the LA Staycation Contest! 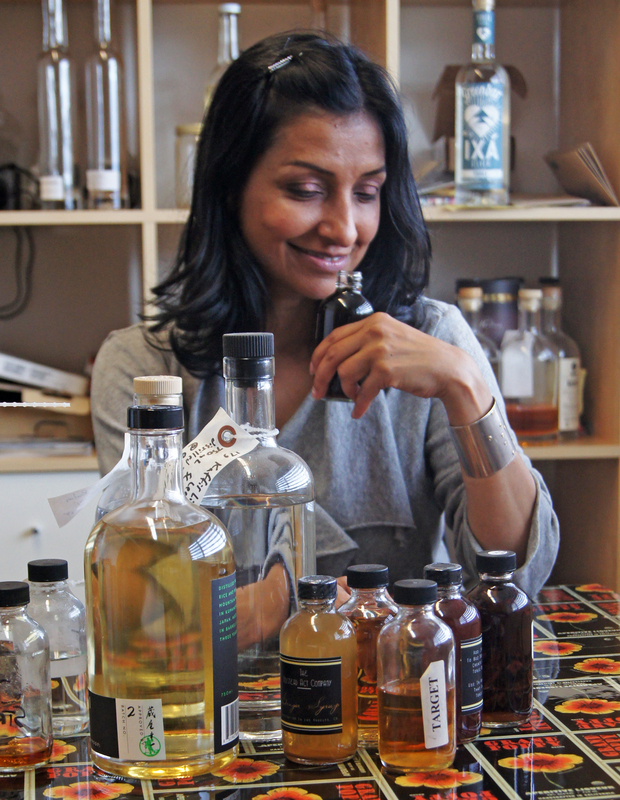 Litty Mathew is spiritsmaker and co-founder at Greenbar Distillery, Los Angeles’s first since Prohibition and maker of a growing portfolio of small-batch, organic spirits. She was born to South-Indian parents in Ethiopia. Her family, including her two older sisters, grew their own fruits and vegetables in each country they lived. At age four, the family moved to Jamaica, then to the US when she was nine years old. Her roots and the countries of her childhood steeped her in vibrant flavor and a rich culinary history. Litty majored in Political Science and Economics with a French minor at the University of California, Riverside. 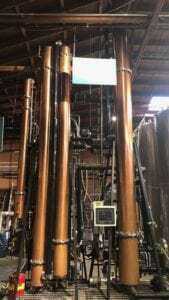 She went to graduate journalism school at the University of Southern California where she met her husband and Greenbar Distillery co-founder, Melkon Khosrovian. They married in 2002. Before starting Greenbar Distillery, Litty worked in public relations and marketing for a beauty company. She left after a few years to attend Le Cordon Bleu cooking school in Paris, honing her lifelong love of food and cooking. She returned to the U.S. to work as a freelance travel and food writer for major publications like Maxim and Saveur. She has also published a novel, The Musician’s Secret, about the Armenian community in Glendale, where she and Melkon live. Litty combines her passion for real food with her search for exceptional flavors as she and Melkon create and produce spirits. Litty and Melkon still taste their spirits daily throughout the process — from fermentation to distillation to flavor —to find that “sweet spot” for ultimate flavor and consistency. Litty often shops at farmers’ markets and grocery stores catering to various immigrant communities. 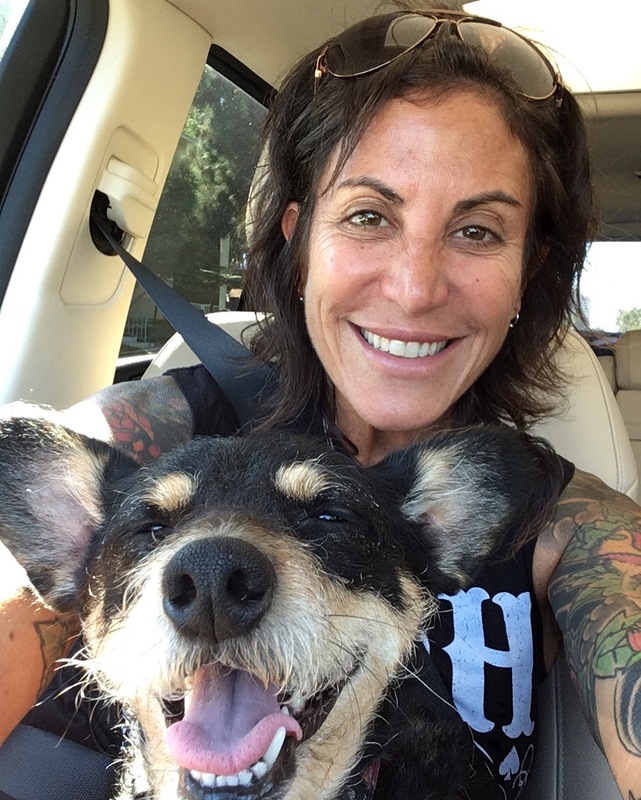 She gathers inspiration for Greenbar Distillery from these sources, cooking at home and at favorite Los-Angeles restaurants. To ensure the distillery thrives, Litty runs the day to day activity while ensuring the unity of the culinary vision remains true.